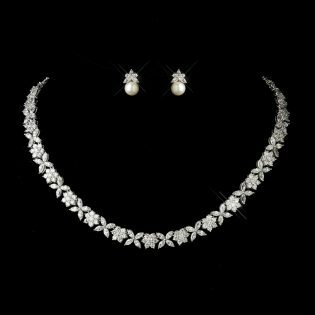 Simple yet stunning, the Antique Silver Bridal Necklace & Earrings Set is a precious floral necklace that is captivating with brilliant Cubic Zirconium crystals that sparkle and shine in the light. 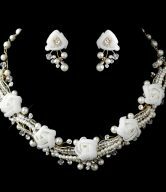 Featuring a pattern of two beautiful flower designs all along the necklace placed on a lovely antique silver plating, this silver bridal necklace will stop you in your tracks. 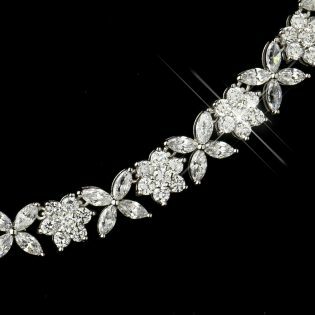 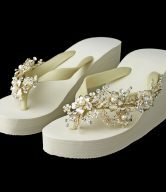 The magnificent necklace is an elegant piece that is timeliness for any wedding look, and perfect to glam up a special occasion. 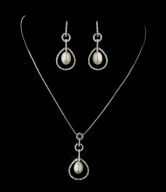 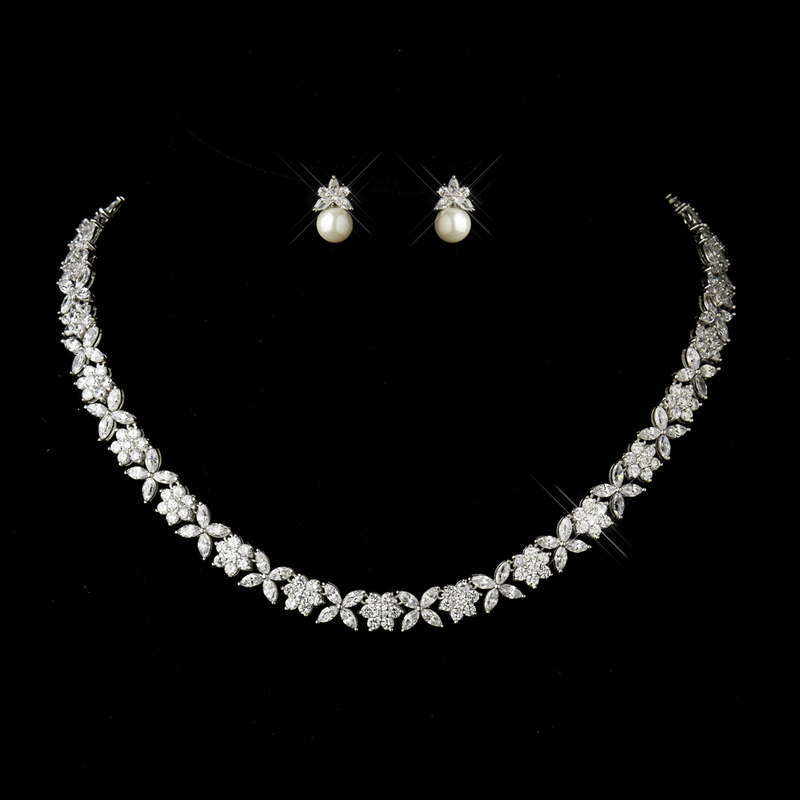 The necklace measures 13-1/4″ long and comes with a matching pair of pearl and CZ drop earrings. 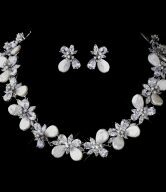 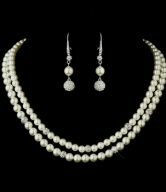 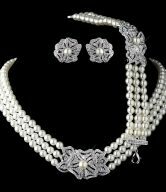 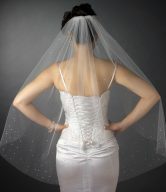 This necklace and earrings set will add a touch of sparkle to any wedding dress or bridesmaid dress.